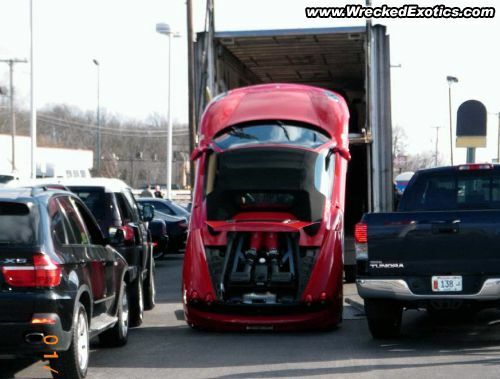 This brand new Ferrari was being loaded for delivery when something went wrong. The car was actually totalled. © 2003-2008 WreckedExotics.com. All rights reserved.